Launching just in time for Valentine's Day, Borderlands 2 Mad Moxxi and the Wedding Day Massacre releases for all your co-op pleasure. 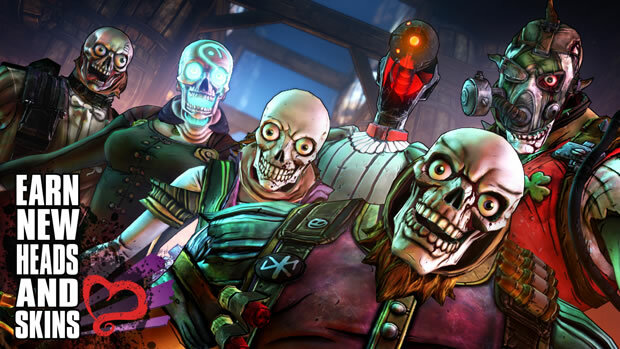 This new DLC marks the fourth in the Headhunter series and aims to twist Valentine's Day in classic off the wall Borderlands style. Mad Moxxi and Innuendo Bot 5000 aim to bring to rival clans together with the help of you and your other vault hunters. The content feature new robot characters that you'll have to fix up for some, cough cough, robot love, on top of your off-the-wall co-op action. Once you conquer the last enemy you'll receive a new head skin for each character class, as with the previous Headhunter additions. Borderlands 2 has been notorious for adding content, and with Sir Hammerlock Versus the Son of Crawmerax, the final Headhunter entry coming out this April, gamers can expect even more humor and head skins soon. See our full review for Borderlands 2 here. 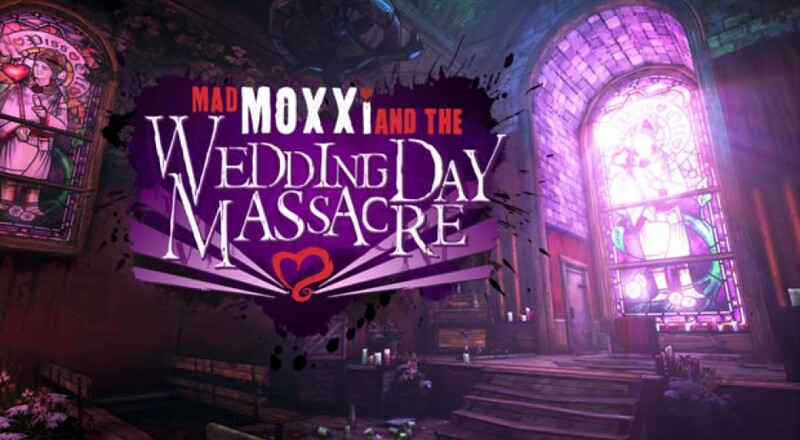 Mad Moxxi and the Wedding Day Massacre launches on February 11th for USD $2.99 / GBP £2.39 / EUR 2,99 € on PC, Mac, Xbox 360, and PlayStation 3*.